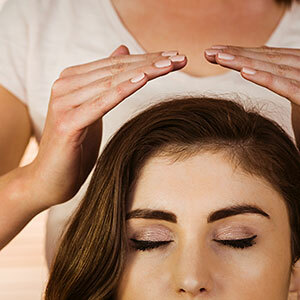 Reiki is a wonderful healing modality that is both natural and safe. This method of spiritual healing helps with self-improvement physically and emotionally and benefits everyone involved. Come join us for an afternoon of giving and receiving Reiki and notice how balanced, grounded, and relaxed you feel afterward! Both first timers and seasoned Reiki practitioners will have the opportunity to participate. This is the perfect way to connect, learn, de-stress and recharge! All are welcome. Preregistration is requested but walk-ins are welcome. Instructor: Before The Open Mind Center opened in 2008, Charmaine Taylor worked for many years as a Risk Manager, Consultant, and Product Developer at several large companies in Corporate America. After raising a family and spending a considerable amount of energy in the high-paced corporate world, Charmaine made the decision to leave her established work environment and pursue a career and life of much higher value, one that would benefit others on a personal and professional level. She is a Usui & Karuna Ki Reiki Master, Pranic Healer, Soul & Business Coach, Certified Yoga Instructor and teacher. Charmaine also has a diploma in Metaphysical Theology. It is Charmaine’s goal to promote wellness, mindfulness, and awakening through The Open Mind Center, as well as to prove to others that there can be a wonderfully successful life outside of the corporate world.